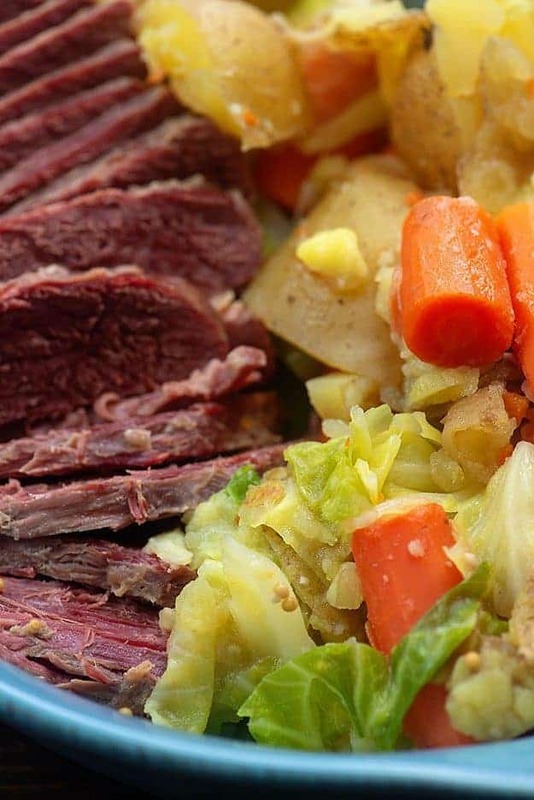 Traditional corned beef and cabbage is the perfect way to celebrate both New Year’s Day and St. Patrick’s Day! 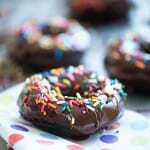 This dish is fairly simple to make and is always a crowd pleaser! 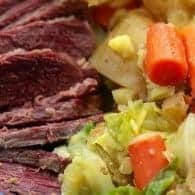 I’ve always associated corned beef and cabbage with Ireland, but did you know that it’s not actually a traditional Irish dish at all? Crazy, right? Either way, regardless of the dish’s origins, corned beef and cabbage is what we serve on St. Patrick’s Day around here! 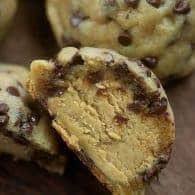 I’m going to share our easy recipe with you! We’re going to start by adding a corned beef to a dutch oven along with some water and beer. The beer is completely optional and probably not super traditional, but it’s how we like it! Replace the beer with water if that’s your style. Add the spice packet that comes with the corned beef and some minced garlic to the pot and bring to a boil and reduce to a simmer. Cover the pan and let that cook for a few hours. 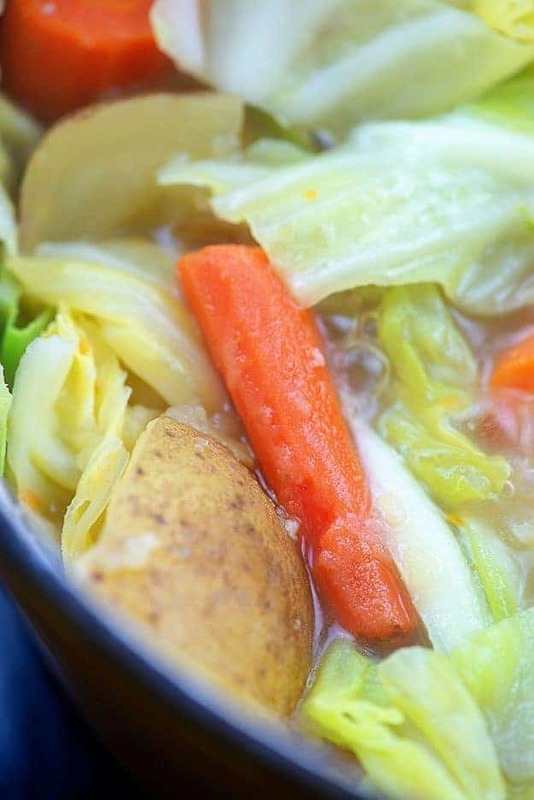 Add some carrots and potatoes to the pot and let those cook until tender before adding in chunks of cabbage. Once the vegetables are cooked through, you’re ready to serve! Add the veggies to a serving platter along with the corned beef. Slice the corned beef across the grain. 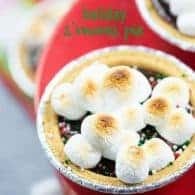 Such a simple recipe and it’s perfect for celebrating St. Patrick’s Day! 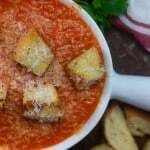 Baked Spaghetti: You won’t believe how cheesy this is! Waffle Recipe: We make these on Saturday mornings and store leftovers in the freezer! Crock Pot Roast: Instead of potatoes, I use radishes to keep it low carb! Trust me. 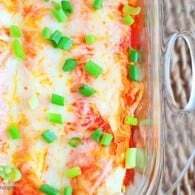 Baked Ziti: One of my favorites! Turkey Chili: Just as hearty as beef, but a little lighter on the fat! Traditionally served on or around St. Patrick's Day, but this dish is really good all year! Add the brisket, seasoning packet that comes with the meat, minced garlic, and beer to a 6 quart dutch oven. Add enough water to cover the meat. Bring to a boil over medium heat, reduce to a simmer, and cover the pan. Simmer for 2 hours and 30 minutes. Add the potatoes and carrots to the pot with the meat and continue simmering for 20 minutes. Chop the cabbage into small pieces and add to the pot with the meat and vegetables. Use a spoon to press the cabbage down into the liquid. to cook. Continue simmering for 15 minutes. Remove the vegetables to a serving platter. Remove the brisket from the pan and slice across the grain into 1/2 inch thick slices. Drizzle the meat and vegetables with broth from the pot before serving. Only do once a year, so not worried about the additives as much as another mentioned. I also do liver and onions once a year. If that’s all, figure it won’t hurt that much. Mu husband would flip for this meal! He adores corned beef and yours looks wonderful Karly. 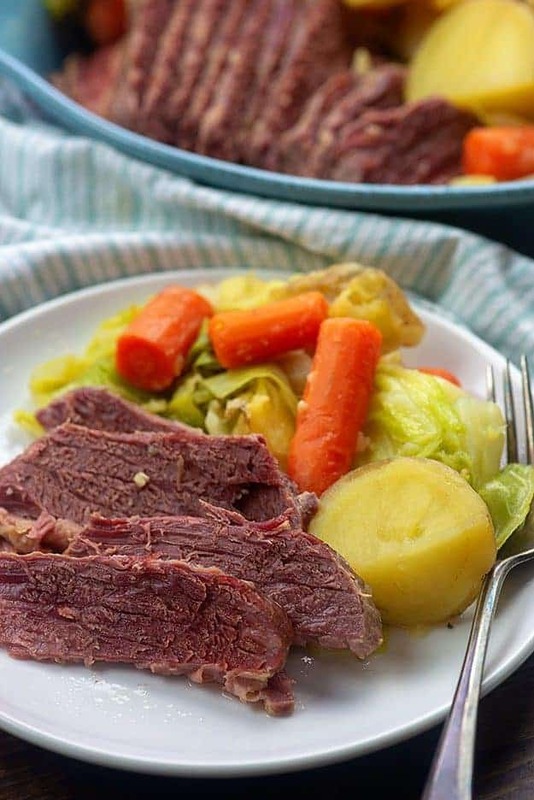 love corned beef, what a timely reminder, I don’t need to wait for St Patrick’s Day either, I’d be happy making it every week, thank you for the recipe and for the reminder! I’ve only done this on the stove, so I can’t really advise. I think 4 hours on high with the potatoes and carrots, add the cabbage during the last hour…but I haven’t tested so I can’t say for sure. 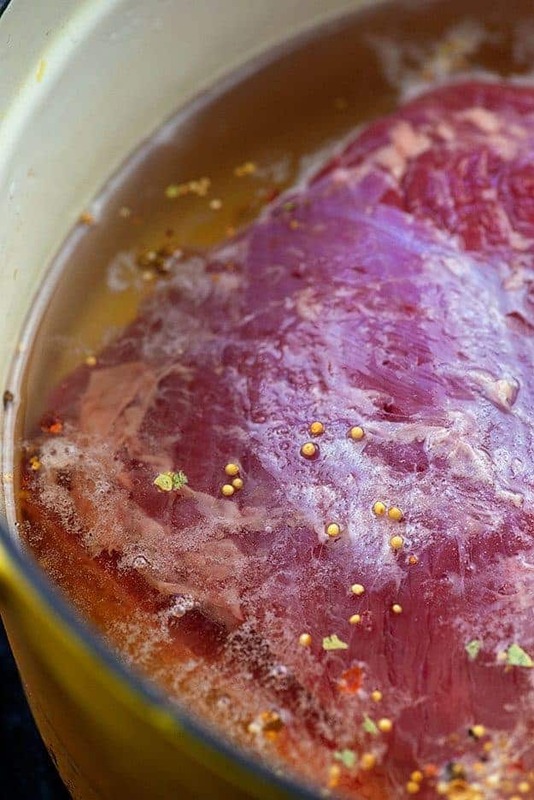 I cook my corned beef with Guinness and brown sugar in the crock pot! Love it that way.